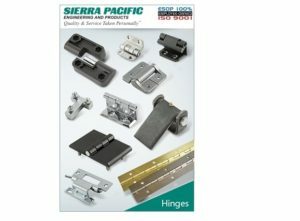 These hinges should be selected early on in process of constructing and designing your final product, to ensure that they fit well into the design, rather than being worked in as an afterthought. Special adjustments are most easily made in the planning phase. Choosing concealed hinges for a project is advantageous for a myriad of reasons. From a simple aesthetic perspective, invisible hinges create a more streamlined and less cluttered look. From a maintenance perspective, cleaning is an easier task when there are no visible hinges, which easily collect dirt and grime in hard to clean spaces. This may be of especial interest with those customers who need to maintain a very sterile or clean area. In addition to all of this, concealed hinges are very easy to adjust. Because the fittings are on the interior of the product, these hinges also will not leave behind immediately visible scars if they are moved or adjusted. In fact, some hinges are made to allow for small adjustments, like moving a door up or down if it moves off center, without having to move the hinge from its original position. Some hinges are clip-ons, enabling users to easily remove the entire door if need be. Concealed hinges benefit from periodic maintenance. If a hinge that becomes stiff or creaky, wipe it down and oil it. Oiling helps reduce corrosion and makes the hinge’s movement smoother and more even. As the piece is built or is being refinished, it is important to avoid spilling paint or varnish on the hinges. If this happens, it is best to opt for a new hinge. When replacing the hinge, it helps to look for a hinge that closely matches the footprint left behind by the previous hinge, so that it is less noticeable. Concealed Hinges Concealed hinges, sometimes also called European cup hinges, are a type of hinge designed specifically to be invisible when the objects to which they are attached to are n use. Concealed hinges are very common and are frequently sold in hardware stores for people making furniture or replacing hinges. Per customer request, they can be ordered in special materials or finishes directly through the manufacturer. Furthermore, some companies will make custom concealed hinges.